On Friday, April 15, explore contemporary art at the New Museum during our annual Teen Night, a special evening exclusively for teens! Grab your friends, and come to the Museum for live music and teen-led gallery experiences. View the current exhibitions, and witness the debut of a teen fashion line created by participants of the Museum’s Experimental Study Program (ESP) in collaboration with artist in residence Cheryl Donegan. Then head up to the Sky Room, with its amazing views of the Manhattan skyline, for a concert by Patrick “Wiki” Morales. A disciplined student of the cypher, Wiki, who grew up in the Upper West Side of Manhattan, credits his lyrical muscle to his grade school days, when he learned to rap and write with friends and math teachers alike. In 2011 he formed New York’s Ratking with current members MC HAK and Sporting Life, and in 2015 he released his first solo album on the record label the Famous Letter Racer. Teen Night is free and open to teens aged 14–19 with high school or government ID. No preregistration is required. Please leave all backpacks and bags at home! If you need to bring one along, it must be checked on arrival. The New Museum’s mission is to promote New Art and New Ideas. School and Teen Programs utilize the Museum as a resource to enhance learning and engage high school students through the exploration of contemporary art in relation to local, global, and cultural issues that affect their lives. For more information, please visit gclass.org. 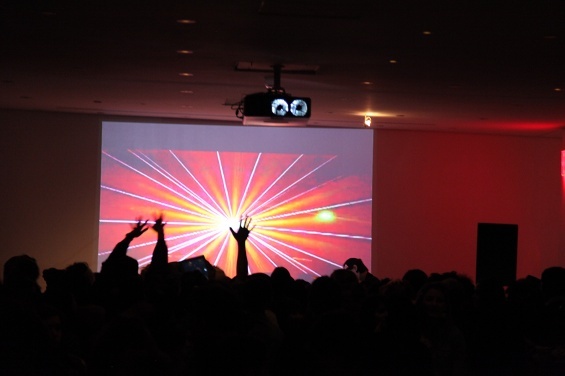 Teen Night at the New Museum is a teen program developed in collaboration with the NYC Museum Teen Summit. The NYC Museum Teen Summit is a collective of youth leaders who represent different museums in New York dedicated to improving and promoting the role of youths in museums. For more information, please visit museumteensummit.org. Generous lead support is provided by the Keith Haring School, Teen, and Family Programs Fund. The New Museum’s Experimental Study Program is made possible by Westfield World Trade Center. New Museum school and teen programs are made possible, in part, by the May and Samuel Rudin Family Foundation, the New York State Council on the Arts with the support of Governor Andrew Cuomo and the New York State Legislature, and the New York City Department of Cultural Affairs in partnership with the City Council. Additional endowment support is provided by the Rockefeller Brothers Fund, the Skadden, Arps Education Programs Fund, and the William Randolph Hearst Endowed Fund for Education Programs at the New Museum.